The Space Shuttle is not painted in any conventional way. 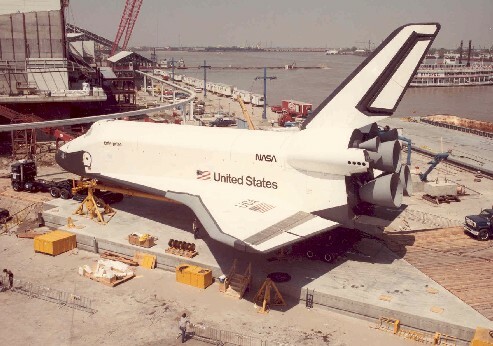 The space shuttle is not painted in any conventional way, nor with conventional paint. But paint chemistry is a very critical part of protecting the exterior. The space shuttle employs a custom thermal protection system (TPS) that utilizes everything from carbon fiber on the nose cone to heavy felt sheeting on the bay doors. The paint chemistry utilized for painting the space shuttle is actually quite different then you might be expecting: low density ceramic tiles placed on the shuttle exterior are coated with reaction cured glass. Reaction cured glass is a lightweight and extremely strong glass coating that provides the shuttle with a barrier that absorbs five percent and deflects ninety-five percent of the heat of re-entry without putting the shuttle or crew in danger. 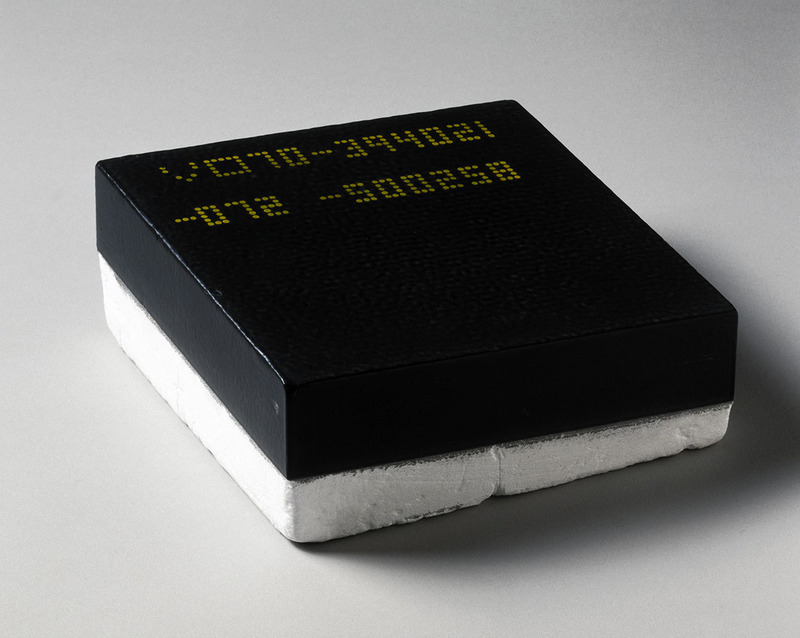 A glass coated exterior space shuttle tile. 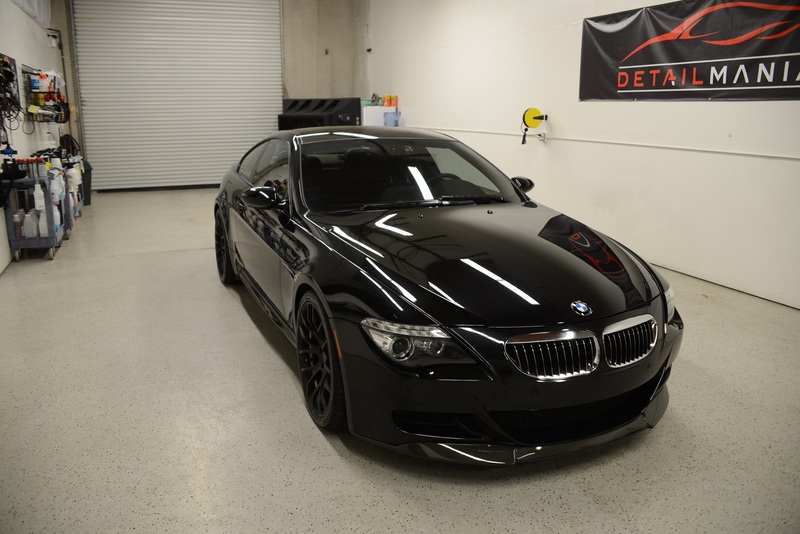 Significantly more common is the use of glass coating in the automotive industry. Automotive clear coats feature many of the same properties and purposes of the glass coating found on the space shuttle. While a thin top-layer of clear coat gives cars and trucks a uniform gloss and appearance, the more important use is in protecting the car body from sunlight and road grime. Traditional paint is more likely to wear down over time through abrasion or if not cleaned correctly and often. Glass and glass-like top coatings are not only resistant to the elements, but hold up over time better than traditional paint due to the impermeable barrier the glass coating creates after curing. As for application, glass coatings are most commonly applied with pair sprayers so that they go uniformly and completely. A quality top coat will be reflective and produce an even sheen, as well as substantial protection from everything from chemicals in rainwater to harsh sunlight. A high-end sedan with glass top-coating. Image courtesy of M5 Board. Obviously not all glass coatings are strong enough to protect the space shuttle, but the practical uses of glass coatings extend to things that you’re likely to paint in the future, like cars and boats. New developments in paint chemistry even make quick-spray glass coatings available for paint professionals and consumers alike. From the space shuttle’s ceramic tiles to the car parked in your garage, clear coats and glass coating are a vital part of the paint industry. Click here to learn more about exciting developments in paint chemistry!